This material also acts as a structural component for scaffolding and framing systems. Outside of the US, the term "tube" is often used instead of "pipe". There are several different types of steel pipe available for use in various applications. The most common is carbon pipe, which is so named because it contains no other alloys. Carbon pipe is widely available and relatively affordable, making it a popular choice for very large projects such as pipelines. 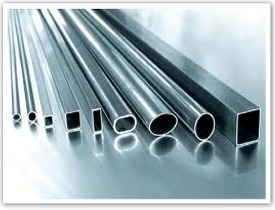 Stainless steel pipe is made from an alloy of steel and chromium, and is one of the more expensive types of pipe on the market. It offers a high level of corrosion-resistance, which allows smaller and thinner pipes to be used, even in highly corrosive or acidic scenarios.